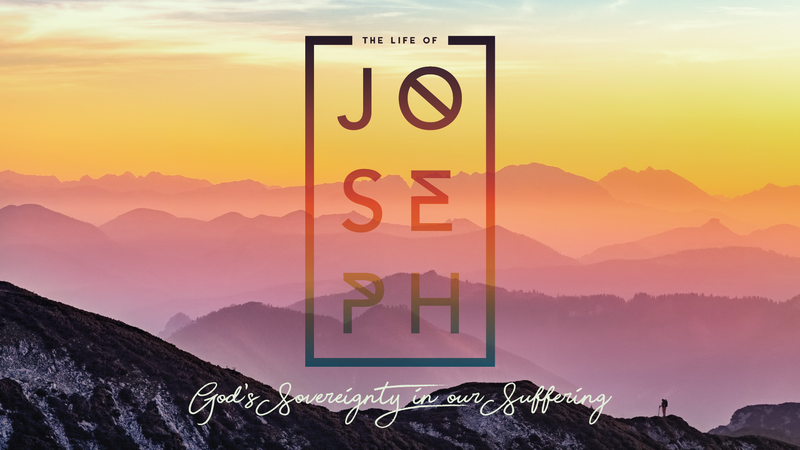 This past weekend at Eastbrook Church we continued our series “The Life of Joseph: God’s Sovereignty in Our Suffering” by looking at Joseph’s overtures toward reconciliation with his brothers in Genesis 45-46. This message was essentially about the nature of and difference between forgiveness and relational reconciliation. You can view the message video and sermon outline for this message below. You can follow the entire series at our web-site, through the Eastbrook app, or through our audio podcast. Also, join in with our daily devotional that accompanies this series during Lent. Hi Pr. Matt, great sermon. While listening Sunday morning, a question came to my mind that I wanted to ask here: The Bible commands in the New Testament “If possible, so far as it depends on you, be at peace with all men.” (Rom. 12:18 https://www.blueletterbible.org/nasb/rom/12/1/t_conc_1058018, Mark 9:50 https://www.blueletterbible.org/nasb/mar/9/50/t_conc_966050, 1 Thess. 5:13 https://www.blueletterbible.org/nasb/1th/5/13/s_1116013) and of course as you have so often mentioned to us that we are to pursue “shalom”. The question I am pondering is, “To be walking in full obedience to Christ, is it our mandate to work at reconciliation in every place of our lives where there is any reconciliation to be had?” I think the simple answer is “Yes”, but is that the same thing as reconciliation? I get the sense that reconciliation means living in harmonious community with one another, but does that mean that in order to obey Christ we need to try to be buddy-buddy with everyone in the church, even the ones who have wronged us in the past and then asked for forgiveness? For me, this gets even more complicated when we considering reconciliation that needs to take place between peoples, communities, and cultures. I understand that everyone has their calling and focus, etc. but are each one of us called to actively pursue reconciliation, say, with the descendants of native american tribes displaced by our ancestors? I believe this is important, but I don’t ever think about it on a daily basis (in fact, I have never really considered it at all). Just wanted to get your thoughts. Ryan, your questions are so deep and poignant. I do believe we are called to reconciliation with everyone. As Paul says in Romans 12:18: “If it is possible, as far as it depends on you, live at peace with everyone.” Of course, there are some important qualifiers there both with the “if it is possible” and “as far as it depends on you.” We can forgive others, but it doesn’t mean full reconciliation. We can even reconcile with others, but that doesn’t mean we will become “buddy-buddy” with them. As a friend of mine joked one time about a challenging relationship: “I love that person right now, but I don’t like them very much.” Harmonious relationship doesn’t mean that we are actively engaged at every level. I would say that we need both whole-hearted forgiveness and whole-minded wisdom in relation to those who have wronged us. That means, sometimes we can reconcile but we will be wise about how we handle everyday relationship until trust has been established. The second aspect you are talking about is a lot deeper dive. When we talk about reconciling people groups or cultures, it is different than the more straight-forward interpersonal relationships. Let me think about it more and get back to you after you’ve interacted with my first response here. That makes a lot of sense. I think the words “Harmonious relationship doesn’t mean that we are actively engaged at every level” resonate with me and answer my question. It’s one thing to think about “the sins of our ancestors,” which often feels vague to me and something we ought not to have to apologize for since we weren’t there, but it’s another to ponder real, deadly conflicts like this where my people group were responsible for some famine, death, war, terror, bad blood, mistrust, etc. I personally have never thought about having a calling to seek reconciliation for things like this, but I wonder if just as we lack so much potential as human beings, we can also lack so much potential for reconciliation that will only take place one day where the leaves of the tree of life are the healing of the peoples. Ryan, thanks for that background to your question. I do agree with you that it is one thing to consider reconciliation that is abstract or ‘out there’, but entirely another thing when we consider our own ancestors’ culpability in the wrongs inflicted, explicitly or implicitly, against others. I do not think that we can adequately deal with wrongs between people groups, ethnicities, or classes until it has been named/identified, faced in terms of its impact, forgiveness of some aspect has happened both ways, and tangible reparations are offered. This gets very difficult to address, but needs to be considered. I remember when reading “Bury My Heart at Wounded Knee” that I was first exposed to the other side of the story of the colonial settlement of North America and expansion into Native American lands. How do we address this in a way that brings true change? I believe that we must move beyond sentimentality or simply feeling bad. I believe that reconciliation cannot happen until there has actually been an acknowledgment of wrong that leads to some sort of tangible action in response. This is true in our personal relationships, but probably true in some different way in terms of larger social groupings. I do not believe it is easy to figure out, but I do believe that it is one of the issues chronically plaguing our nation today.